This year, soft velvet, rich gem tones, and fun animal prints have dominated just about every fall home décor trend report we've encountered. Insights from interior designers and collection drops have made it clear that these are the styles to watch (and shop) this season. While they wouldn't be trends if they didn't come and go within a shorter timetable than more classic pieces worth the investment, it can still be fun to try out a few fleeting styles at home. Rather than spend your savings on major items that might not stand the test of time, you can tap into these trendy décor styles without sacrificing your entire design budget—so long as you know where to shop. Enter H&M Home's Fall Luxe Collection. 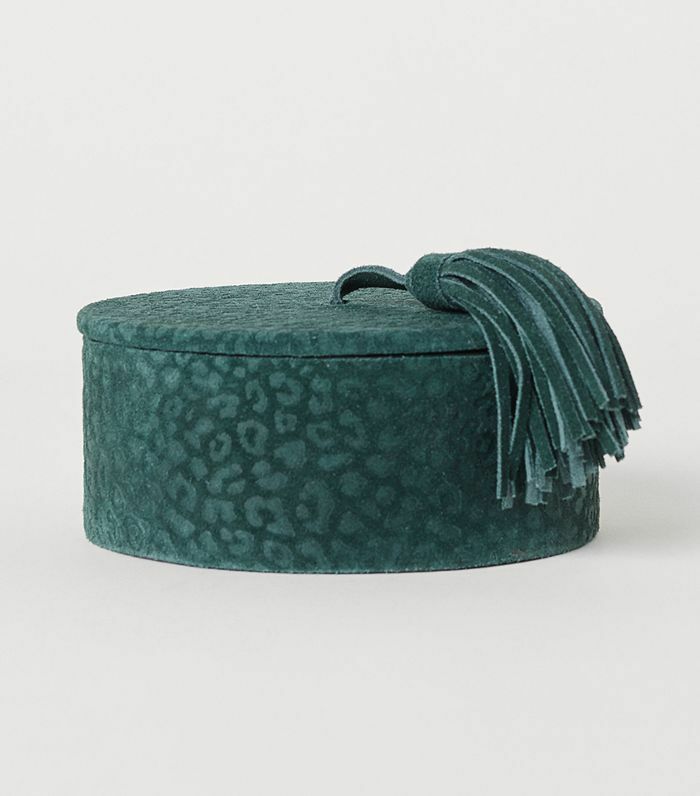 The unassuming retailer recently released a beautifully curated selection of seriously on-trend décor items, including faux-fur throws, animal-print details, velvet cushions, and floral=-patterned elements for an '80s twist (trust us, the outdated trend is back). The best part is the items start at just $6, making it all too easy to give your space a fall 2018 upgrade. Ahead, shop our edit of the affordably luxurious collection and have a little fun experimenting with the new décor styles. 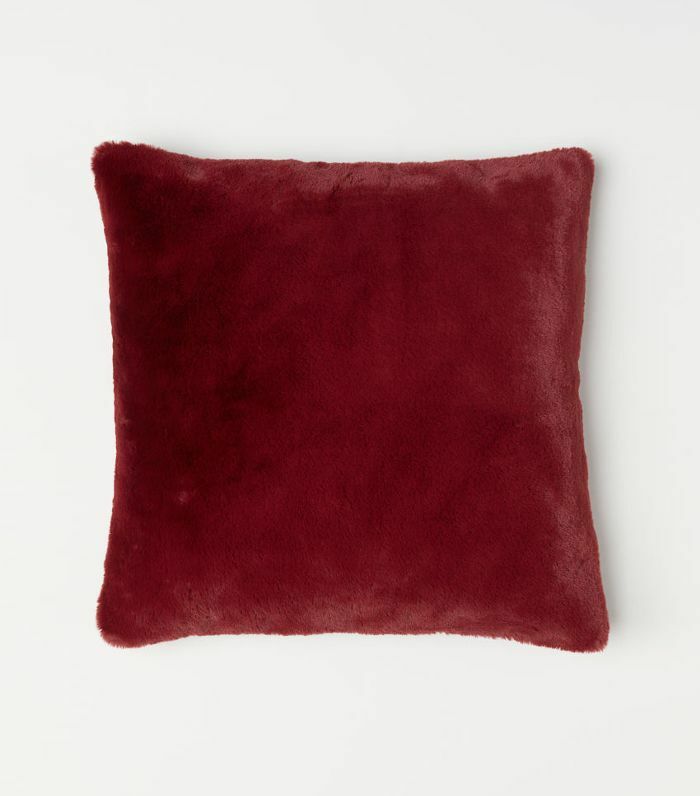 Simply toss this faux-fur cushion cover on your usual throw pillow for an instant fall refresh. 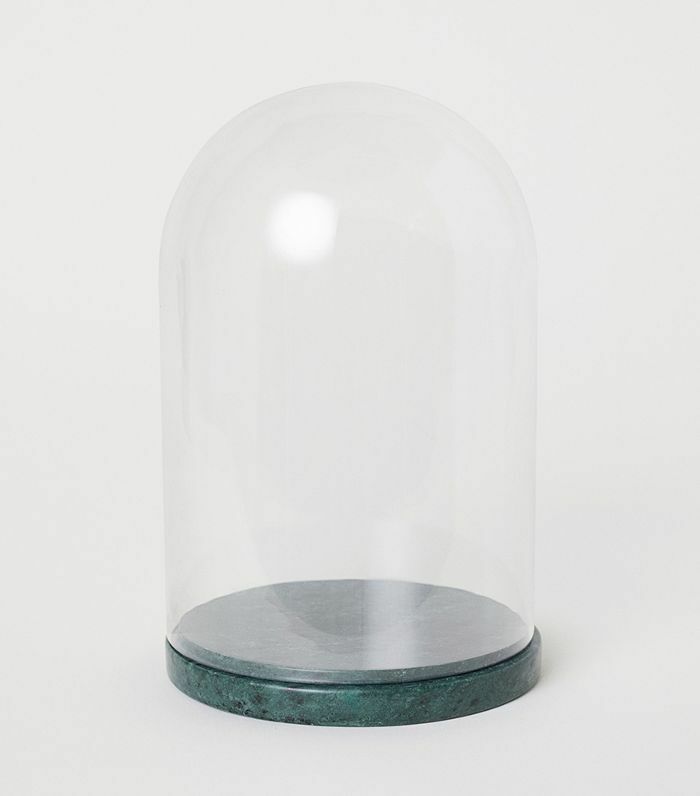 This green marble dome would look great on a living room end table or as part of your coffee table décor. 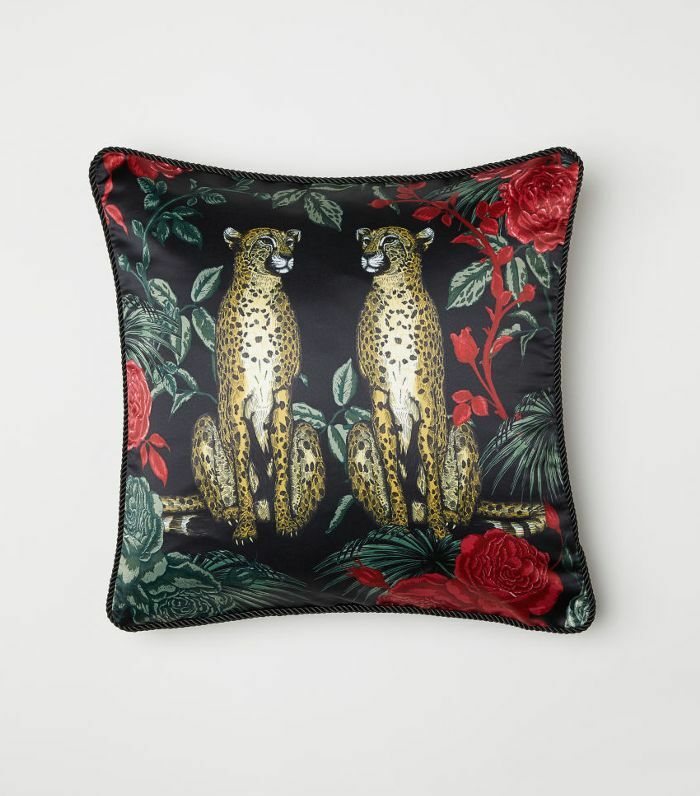 Take animal print to the next level with this wild throw pillow. 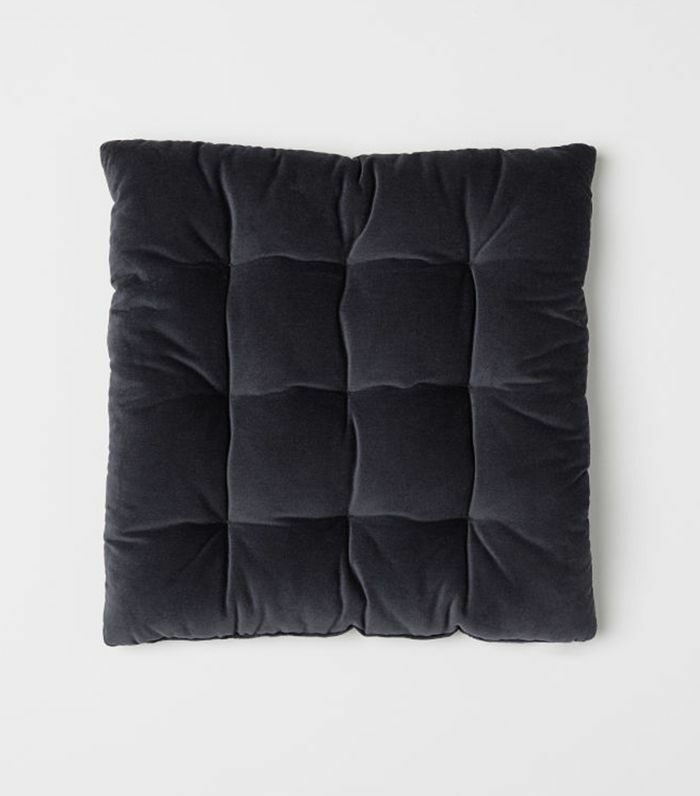 A velvet seat cushion to upgrade just about any chair or bench in your home. 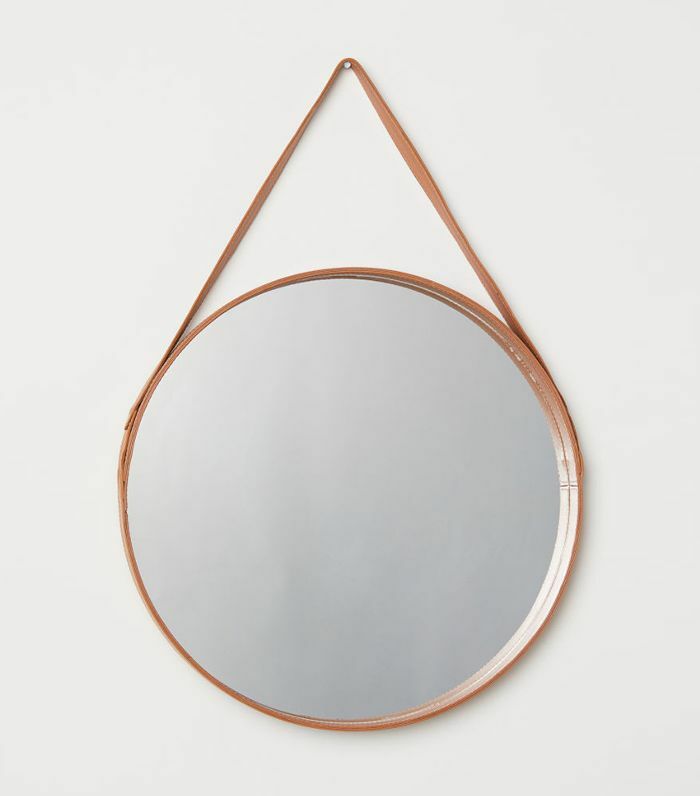 A round hanging mirror isn't exactly a groundbreaking trend, but the leather material makes it worthy of adding into your bedroom décor. This decorative box incorporates multiple fall home trends in one little package. The suede material is decidedly luxe, while a subtle animal print can be seen up close. It also comes in the perfect fall shade of green. 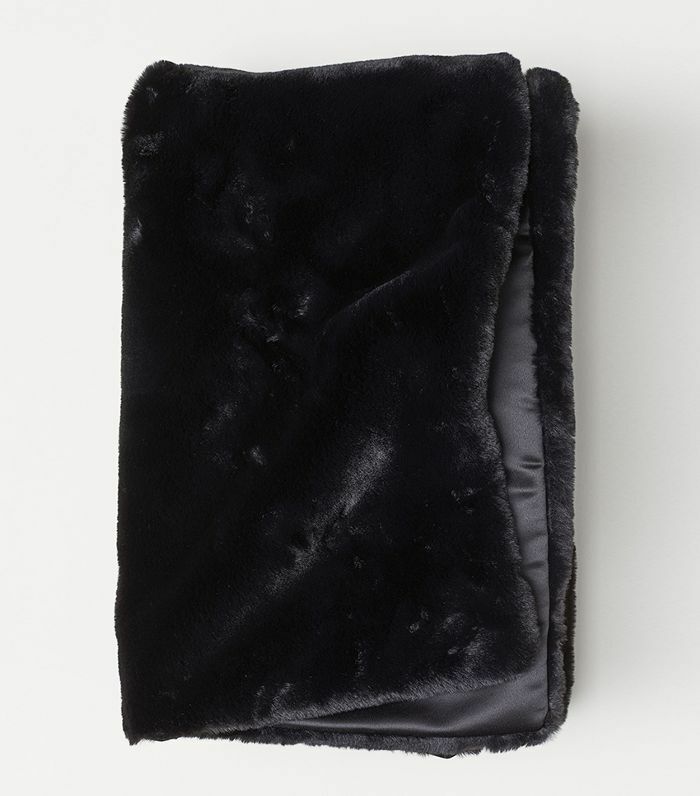 Toss this faux fur throw across your bed to transition your space from summer to winter with ease. Since you'll soon be hard pressed to spend much time outdoors once winter kicks into full gear, invest in some houseplants to bring the outside in. 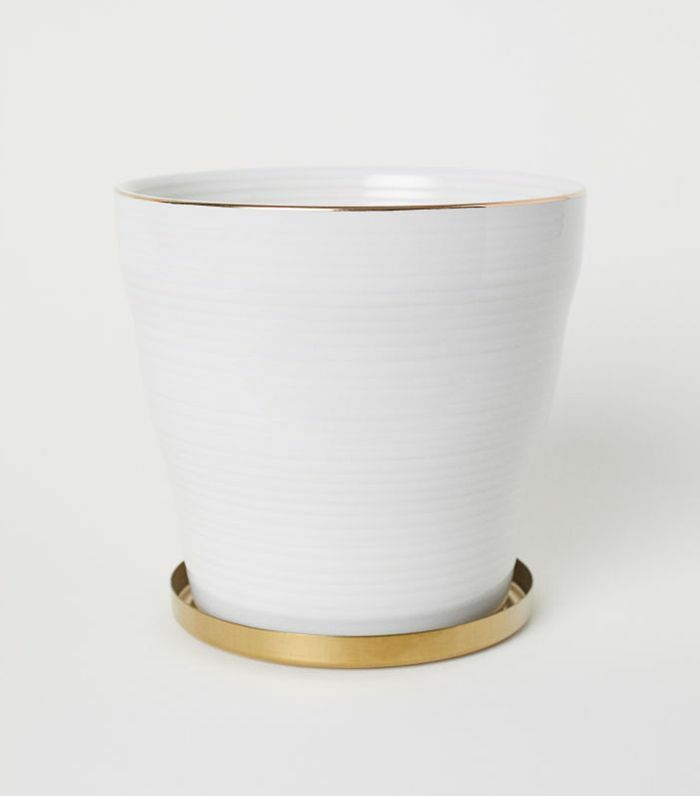 This fluted pot is just the thing to inspire you to incorporate more greenery in your room. 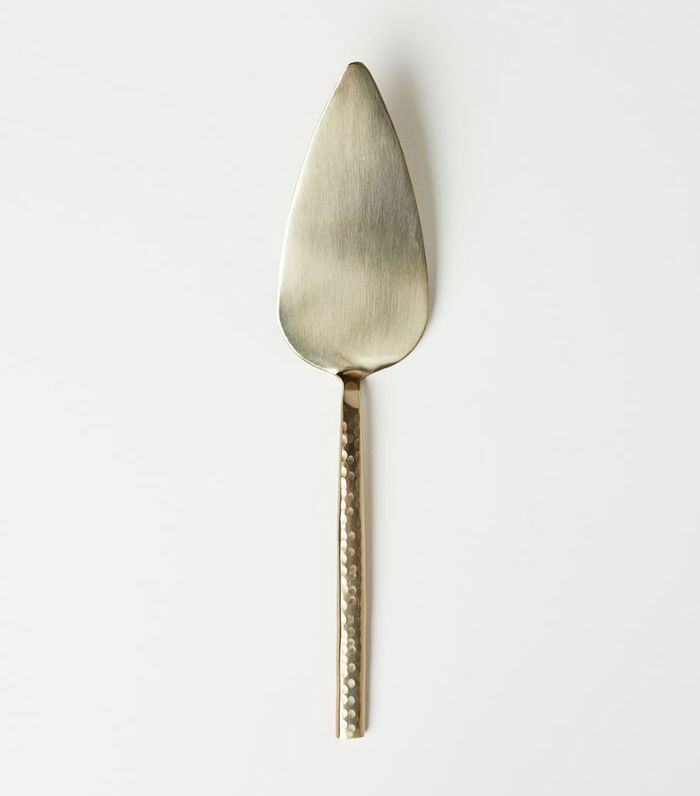 With Thanksgiving and the rest of the holiday season on the horizon, you'll need entertaining essentials like this metal cake server. 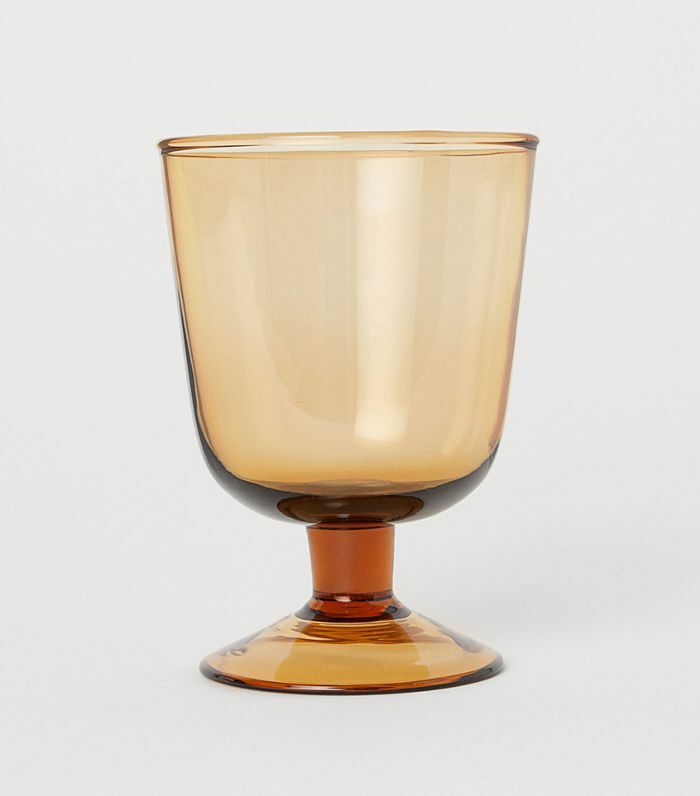 Sepia is another color that's been popping this fall and this stemmed wine glass is an easy and affordable way to get in on the trend. 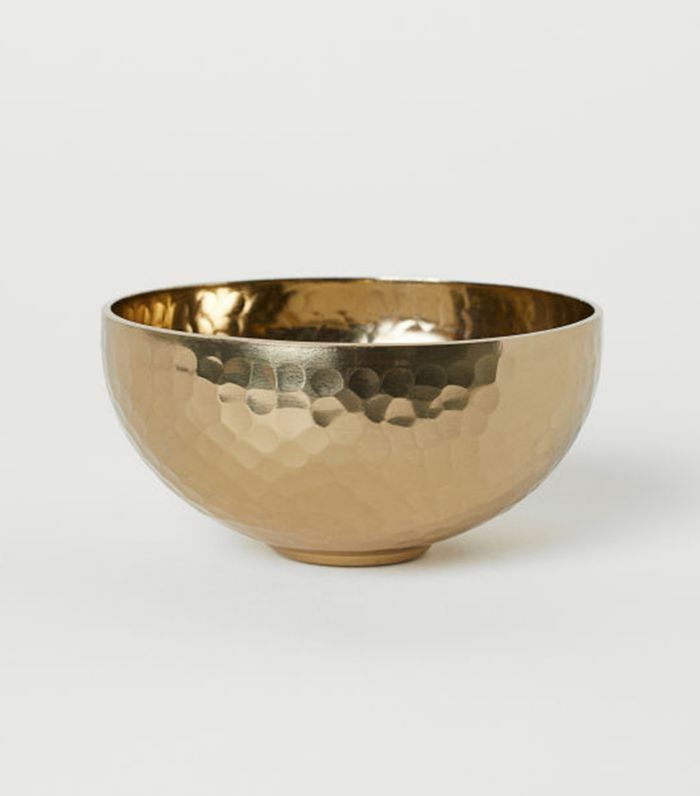 Whether used to serve small bites at a dinner party or to display seasonal potpourri on the table, this metal bowl would look chic in any kitchen. 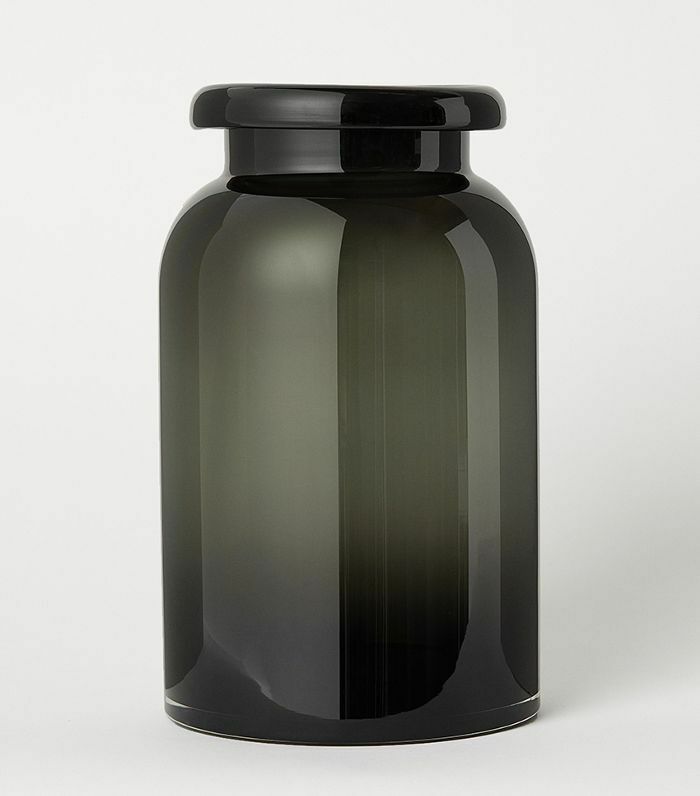 This large moody vase is just the thing to display a single palm leaf or a bouquet of autumnal toned flowers on the kitchen table. 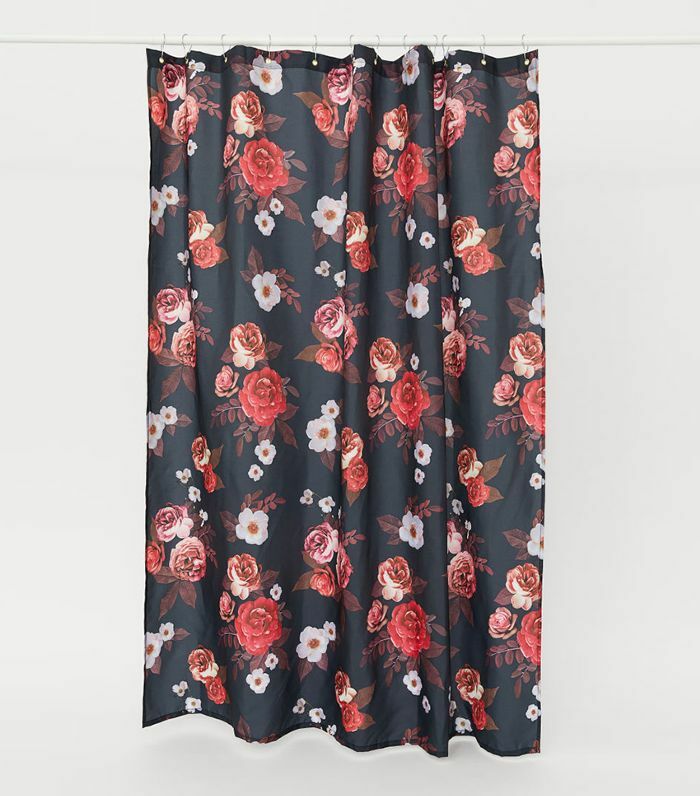 Take it back to the '80s with this retro-inspired floral patterned shower curtain. 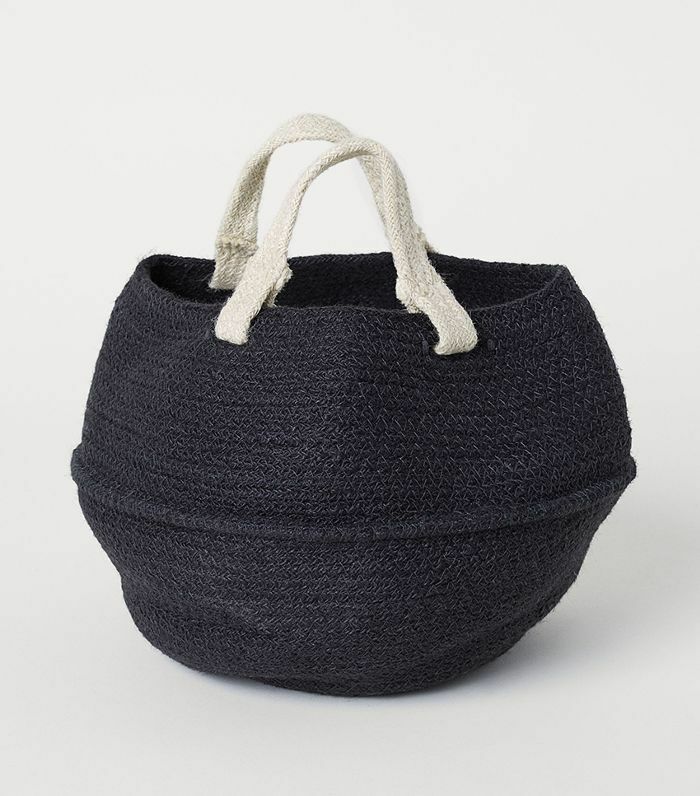 Jute baskets are the perfect functional yet stylish décor item. Place it by your tub to hold rolled towels or stow away other cleaning supplies or essentials you'd rather leave hidden from view. 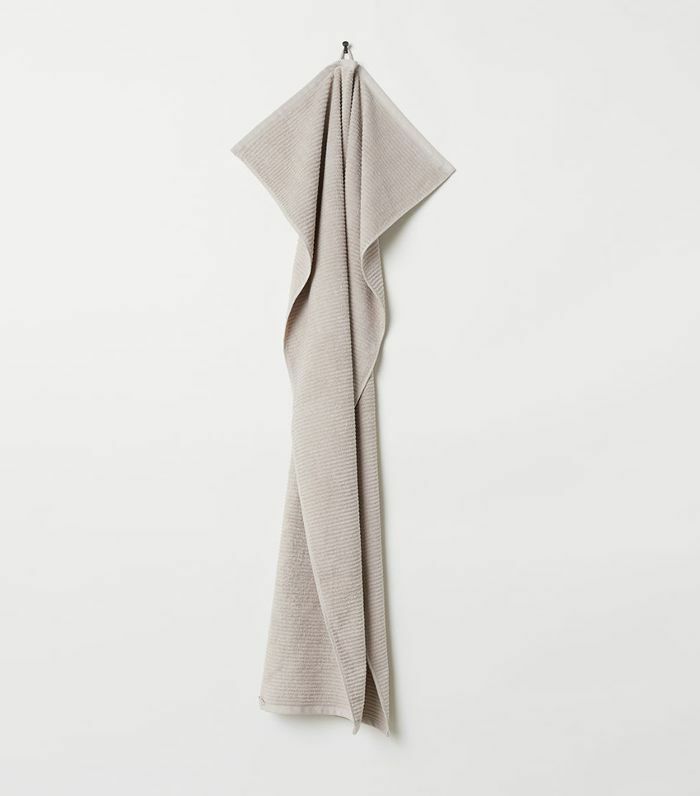 If you need an excuse to upgrade your bath towels, this affordable staple piece is it. 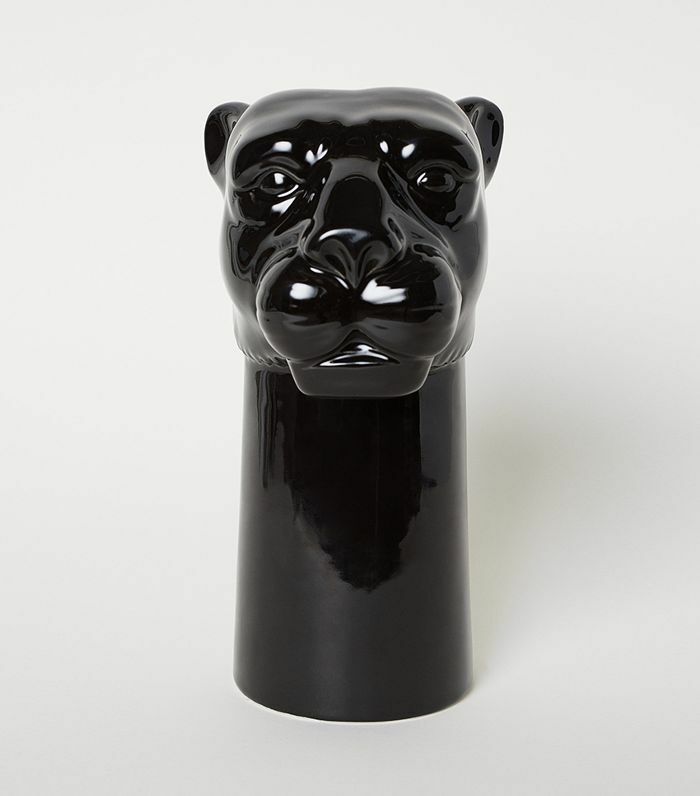 For a bold, whimsical look, employ this leopard shaped stoneware vase to hold seasonal plants in your bathroom. Sign up for MyDomaine's newsletter for more home décor trends and design inspiration.